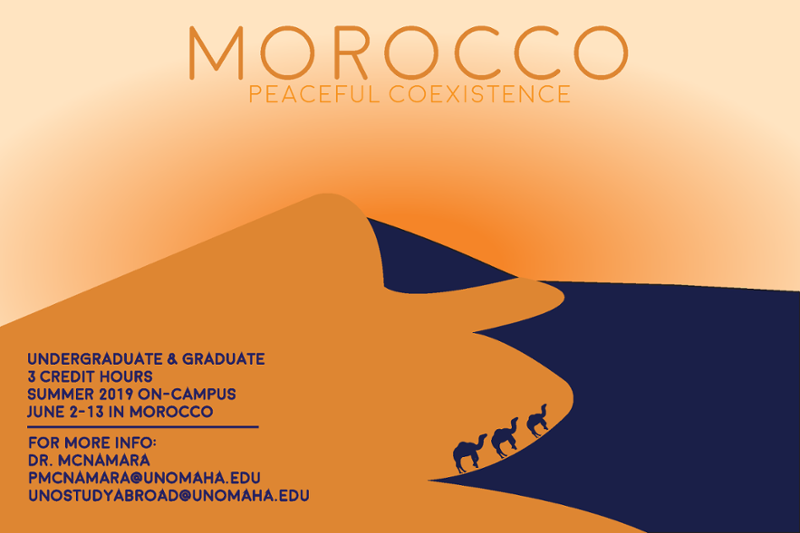 The University of Nebraska Omaha’s Schwalb Center for Israel, Jewish Studies and the Middle East is hosting a study abroad tour of Morocco June 2 - 13, 2019. This tour will focus on Peaceful Coexistence: Jews, Christians, and Muslims in Morocco. We are pleased to announce that the first 10 students to apply and be accepted will receive a $500 scholarship! During this study tour, participants will explore the three Abrahamic faiths as we travel through Rabat, Fez, Marrakech, and Casablanca to discover the role of each religion within the local community. The diverse nature of Morocco’s people will be highlighted with visits to Roman ruins, medieval cities, synagogues, cathedrals, mosques, a UNESCO World Heritage site, NGOs, an exotic garden and more. Enjoy the flavors of Moroccan cuisine at local restaurants, including a replica from the famous film Casablanca. Before students depart, they will get an in-depth overview of each religion’s importance in Morocco and how they’ve formed a peaceful coexistence. Students are encouraged to apply today as spaces are filling up quickly. 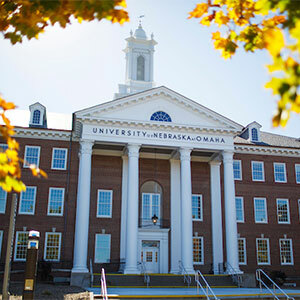 To apply, visit https://unomaha.via-trm.com by December 1, 2018. For more information about the trip, please contact Kasey De Goey at unoschwalbcenter@unomaha.edu or the UNO Education Abroad Office at unostudyabroad@unomaha.edu.